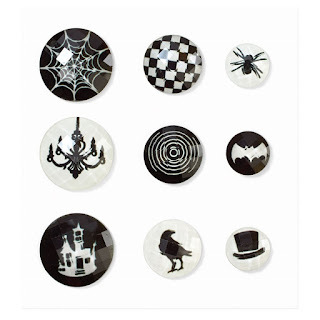 Creating with Christine: Nevermore - Halloween Home Decor Galore! Say hello to Nevermore - this year's Halloween themed paper and accessories! 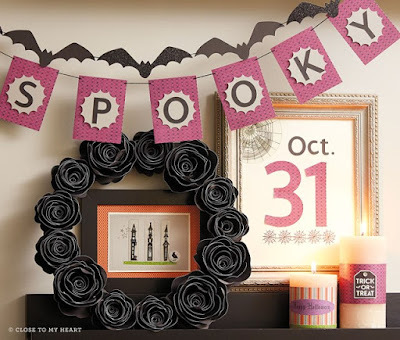 The artwork above features easy to make projects using our exclusive Cricut Cartridges to make banners, 3-D flowers, fonts, anything your heart desires to create a thrillingly spooky atmosphere by the front door with your treat bowl! 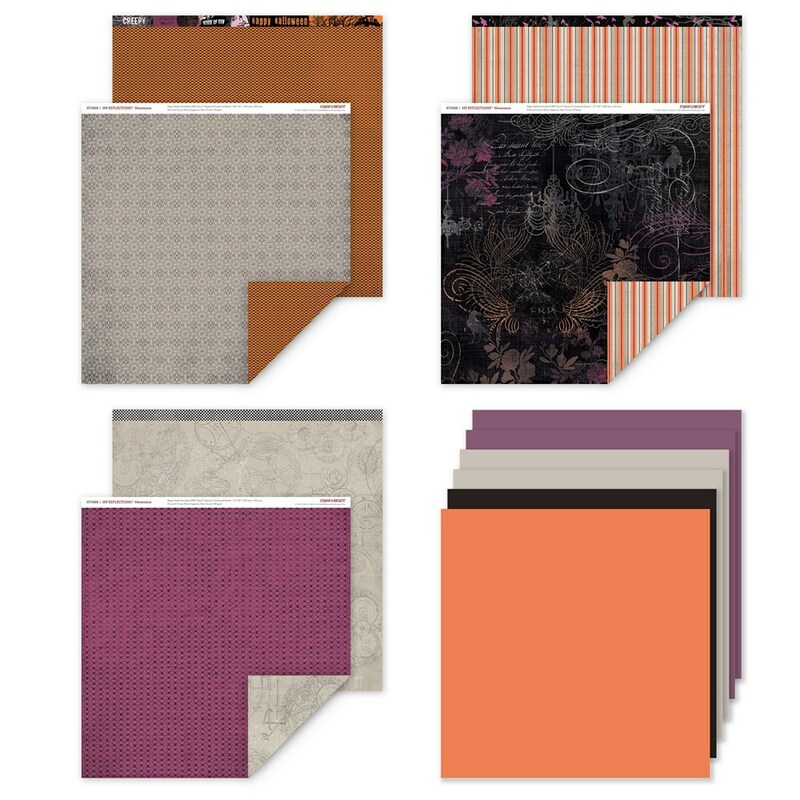 Nevermore features our new color Eggplant, along with classics like Whisper, Slate, Black, and Sunset! And trust me, if you are NOT a Halloween person, these colors and patterns can be used for so many themes - including heritage and vintage! The Nevermore Complements include a large variety of coordinating pieces including two 6x6 sheets of stickers, assorted kraft die cuts, and an assortment of thick plastic die cuts! And check out the coordinating Nevermore Assortment - a 9 piece set of printed, faceted gems, adhesive backed an in 3 different sizes! Want to start creating your Halloween themed treats and decor now? 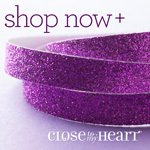 Just click on the Purple Shimmer Trim below to start shopping! And check back for MORE Nevermore artwork all week long!